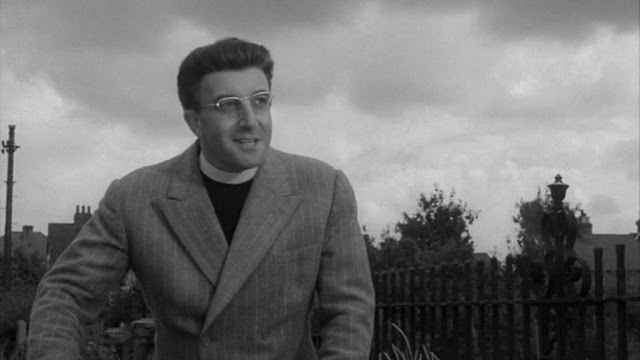 Some critics believe that the last of the Boulting Brothers social satires Heavens Above (1963) deserves to be remembered because of Peter Sellers lead performance as the sincere Church of England clergyman who gets sent due to a clerical (no pun intended) error to the wrong parish and I would not disagree, but there is far more to the film than just Sellers award winning performance. It’s a clever and humorous satire on religion, the establishment and the working class and was called the Boulting Brothers most ‘human picture’ . The film is set in a small country town called Orbiston Parva that is over lorded by the Despard family, rich local landowners and proprietors of a factory that provides local employment. When we first meet the Rev. John Smallwood (Sellers) he is in a prison cell having been trussed up by a convict he has recommended to be made a trustee. The prison authorities are not unhappy to see their prison chaplain moved to another parish. But we soon discover that there are two John Smallwood’s and the wrong one gets sent to Orbiston Parva where chaos ensues. Firstly he appoints a West Indian dustman as his churchwarden and then to make matters worse he moves the very large and unruly Smith family into the Manse. Following these two actions things can only get worse and believe me they do. Eric Skyes with a young future Small Faces star - Steve Marriott. This British movie has an exceptional cast that’s far to long to list here but I would give special mention to Eric Skyes as head of the Smith family, Cecil Parker as the Archdeacon who recommends Smallwood for the Orbiston Parva parish and lives to regret it, Brock Peters as the churchwarden and Ian Carmichael in a guest appearance as the other Smallwood. 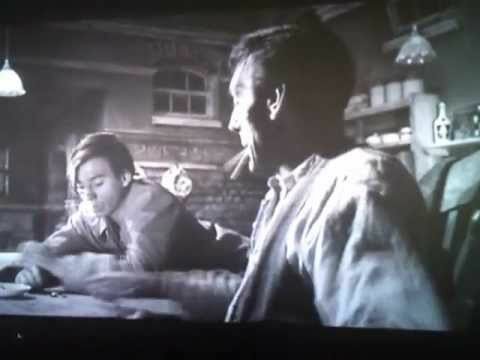 The films script was written by Frank Harvey, who was also responsible for writing the scripts for I’m All Right Jack (1959) and Privates Progress (1956), and based on an idea by Malcolm Muggeridge who also has a cameo role in the film.